I visited L2 Studio Saturday, December 10th. Again I followed a recommendation of Inara Pey. 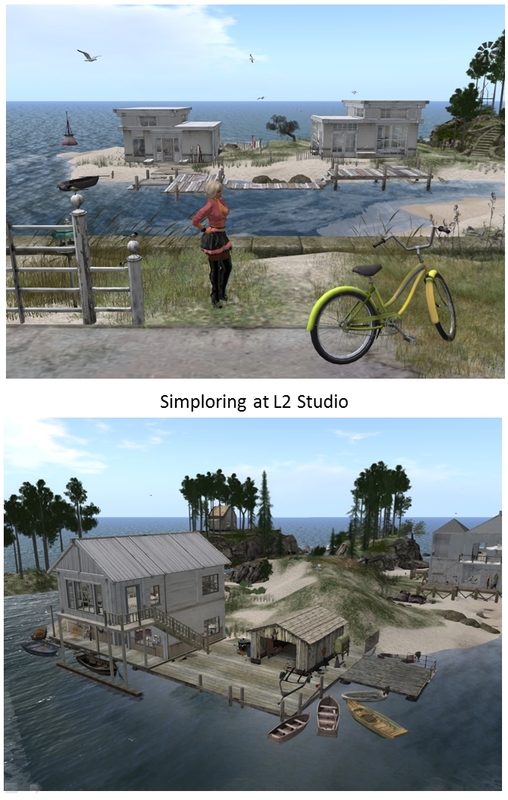 There’s a full description of the sim in her blog – “LHOOQ: coastal scenes in Second Life“. Lindini2 Lane is a builder of houses and sells her prefab houses. There’s no better way for marketing than displaying the houses in a lovely surrounding and furnished. You can buy the houses at the sim and you can try them out at a seperate demo rezzing area. I admit, I like the houses and that inspired me to think about a new house some time. L2 Studio is worth a visit just for the houses and getting new ideas.